Whenever the local forecast calls for SOME rain yet no one, let alone Environment Canada, knows exactly when or how much of it, on days like that I reach for my list of regional parks. Oh, bless the creators of Metro area regional parks. Never more than one hour drive away, often accessible by transit & bike and offering a good selection of easy trails in interesting places – they are great when you have a 4-hour window like we did today. Today our choice was Boundary Bay. “Boundary Bay is an internationally recognized Important Bird Area, thousands of birds stop by every year when they use the Pacific Flyway migration route, a major fly route for migratory birds that stretches from the North Slope of Alaska to Central and South America. The sandy beaches, salt and fresh water marshes, mudflats, sand dunes and meadows attract a wide variety of birds” (source: 5 hot spots for birdwatching). Even if you are not a keen birder I think you’ll find Boundary Bay a fascinating area to explore. We’re not and we did. First of all, if you arrive at low tide, you’ll be amazed how far the mud flats stretch into the bay – kilometers and kilometers in. While small birdies flock to the bushes right by the main trail, in order to observe larger aves it is best to bring binoculars. However, it is not unusual to get an up close look at a great blue heron while strolling near water channels off some of the smaller trails. If you are into big scenery and killer sunrises, views of Mount Baker across Boundary Bay on a clear winter morning are hard to beat. This time of the year bring a container and perhaps some gardening gloves for protection against thorns as blackberries are ripe and bountiful (note: this year, due to a hot summer, they are about 2-3 weeks early). We couldn’t stop eating them, they are lining literally every single trail. Speaking of trails, there is one main trail, dyke trail, about 4 km long but I highly recommend taking a detour through Savannah or Raptor Trail. Smaller paths lead on from those and will take you to interesting alcoves and hideaways and through some beautiful grasslands. All trails are short and easy, you cannot really get lost but just in case, here’s a map. If you are looking to spend more time in the area and explore further out, do bring a bicycle (a city bike is OK) and ride on the 15 km Dyke Trail from N end of Boundary Bay Regional Park along the perimeter of the bay and all the way to Mud Bay (see map insert). En route, which hugs the shoreline, you will be passing a few other excellent bird watching spots (Delta Air Park at 104th Avenue and the foot of 72nd Avenue) so do stop by and check which migratory birds are in town. 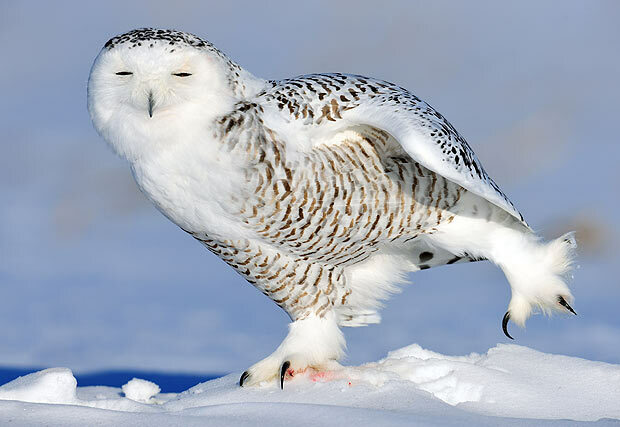 In 2012 an unusually large number of snowy owls made Delta Air Park their resting spot for a few weeks in December and they garnered huge interest from bird watchers, wildlife photographers, regular visitors like us and also media. By car – drive S on Hwy 99 through Massey Tunnel and follow signs for Tsawwassen and Point Robert. In Tsawassen, turn L on 12th Avenue (Chevron gas station at the far corner of the intersection) and follow the road to Boundary Bay Regional Park Parking lot at the south end of the park. By bus – take Canada Line to Bridgeport Station in Richmond and from there take bus 601. Ask the driver where to get off for Boundary Bay Park – the service alternates depending on the time of the day so you might need to get off at 12th Ave and walk just a very short distance to the N entrance of the Park. By bike – follow the transit route to 12th Avenue in Tsawwassen as described above but after exploring the park’s marshlands continue by bike along Boundary Bay all the way to Mud Bay and on to South Surrey Park & Ride from where you can catch a bus back to Vancouver. All buses are equipped to carry 2 bikes. It’s an awesome ride with wonderful views! Map of the route below.